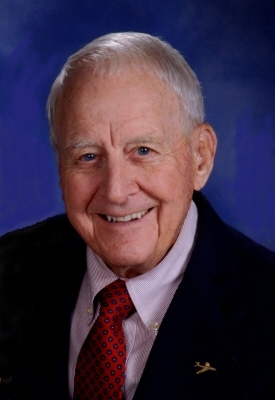 Ronald Merrick Davis was born December 23, 1928 and passed on February 2, 2019. Mr. Davis was raised in Spokane, WA. He is survived by his wife, Nancy Davis and two children, Jeannine Harris, Princeton, NJ and Charlene Mathis, Wayne, PA and four grandchildren. He graduated from the University of Washington in Seattle with majors in Zoology, Chemistry and Physics. He was active in the Naval Reserve for 3 years prior to joining the U.S. Air Force in 1950, becoming an F-84 jet fighter pilot flying with the Strategic Air Command in the Korean War. He spent 2 tours in Japan at Misawa and Chitose. Upon discharge, he made a career with Union Carbide, Linde Division raising his family in Los Angeles, Dallas, Boston, New Jersey, Pennsylvania and Chicago. After 35 years he retired to Pinehurst, NC where he has resided for the last 26 years. Ron was active as an exhibitor of West Highland White Terriers and later an AKC judge. He subsequently field trialed and judged German Shorthair Pointers. He is a life member of the American Welding Society and the West Highland White Terrier Club of America. In Chicago, he became a Hospice volunteer and continued in retirement in Pinehurst. He volunteered as chief electrician for Habitat for Humanity for ten years. He also has been active in the Episcopal Church, Moore Buddies, The Artists League of the Sandhills, First Health Foundation, Coalition for Human Care, Family Promise and Literacy Support. Ron recently celebrated his 90th birthday. He was an active photographer, golfer, hunter, fisherman and traveler to foreign lands having covered most of the northern hemisphere including two trips to China and Tibet by auto or small groups. A memorial service will be held 11am, Saturday, February 16th 2019 with reception to follow at Emmanuel Episcopal Church, 350 E. Massachusetts Avenue, Southern Pines. In lieu of flowers, donations should be sent to First Health Hospital Foundation. To send flowers or a remembrance gift to the family of Ronald Merrick Davis, please visit our Tribute Store. "Email Address" would like to share the life celebration of Ronald Merrick Davis. Click on the "link" to go to share a favorite memory or leave a condolence message for the family.